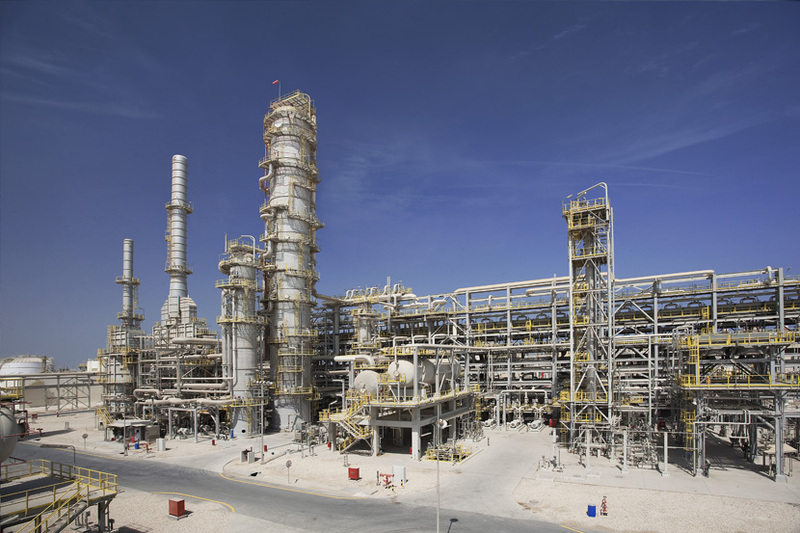 Laffan Refinery, Qatar’s first condensate refinery started production in September 2009. It is designed to be one of the largest condensate refineries in the world. The refinery has started with a processing capacity of 146,000 barrels per stream day (BPSD) and currently utilises the field condensate produced from the Qatargas and RasGas facilities. The Laffan Refinery has a production capacity of 61,000 bpsd of naphtha, 52,000 bpsd of kerojet, 24,000 bpsd of gasoil, and 9,000 bpsd of LPG. Laffan Refinery Venture activities continue with plans to expand condensate refining capacity, supplying more products from a second refinery expected in 2016, this is known as Laffan Refinery 2 (LR-2). Laffan Refinery 2 is expected to be fully operational by early 2016. This facility will be able to process an additional 146,000 barrels per stream day (BPSD), therefore in total the processing capacity that will be available to Laffan Refinery will be 292,000 bbl/d. The Laffan Refinery helps to capture synergies and opportunities from the development of the North Field, Qatargas, RasGas and other Ras Laffan City ventures. It consists of process units including utility systems, distillation units, naphtha and kerosene hydrotreaters, a hydrogen unit and a saturated gas plant producing naphtha, kerojet, gasoil and Liquefied Petroleum Gas (LPG). The shareholders of the Laffan Refinery are Qatar Petroleum (51%), ExxonMobil (10%), Total (10%), Idemitsu (10%), Cosmo (10%), Mitsui (4.5%) and Marubeni (4.5%). Meanwhile and in addition to this, some debottlenecking and a new gasoil hydrotreater is to be built in the first refinery LR-1. It is anticipated that from 2014 most of the Gasoil produced will be converted to Diesel (less than 10ppmS). Together with the arrival of the new receiving and loading facility there will be an improved, environment friendly, road fuel distribution network across Qatar.